Apple Blossom Dreams: 1000 Followers and a Giveaway!!! My favorite is definitely the Puffy NOLA Sunset Afghan. Congratulations! The pattern has been sent! La Vie en Rose...My Mom will be 85 in April, and she absolutely loves roses, but sadly is allergic to the real ones. I could make this for her and rock her world! Congratulations! I just love your granny rose pattern. Its so real looking, that's why I love it. You are one of the 10 winners, Denise. 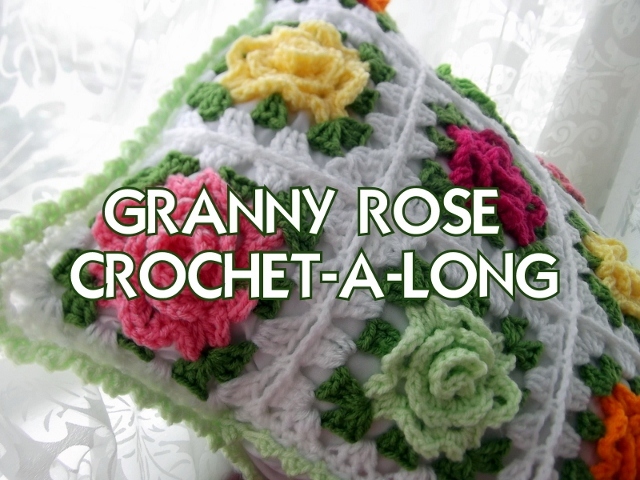 SInce you are a non-reply blogger, please send me your email address and I will happily send you the pattern for the Granny Rose. Send to astri.bowlin@gmail.com. deebriese@yahoo.com forgot to leave address. Congratulations! The pattern has been sent. Congratulatins!! I love your blog, me ando more 999! I love all your patterns, but the "All 5 steps of the Granny Rose" is fantastic. Congratulations on 1000 followers! My favorite pattern would have to be the Meadow Larksfoot infinity scarf, because I love the stitch pattern, but they're all so beautiful it's hard to decide. :) Thanks so much for holding this giveaway! Am I too late? I haven't ever purchased one of your patterns, but I'd love to try them. 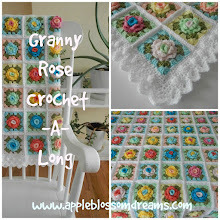 I know a lot of people really love your granny rose pattern, and I've seen beautiful things made with it. Congrats on 1000!!! You are not too late. Please email me your email address and I will send the pattern off! Congrats on followers. I've always want to try a towel topper. I just hit my 1000 on bloglovin. Hi Stephanie! Congrats on your followers too! I would be happy to send you the Towel Topper pattern. Please your email address to astri.bowlin@gmail.com. Just sent the Towel Topper pattern. Thank you Stephanie! Congratulations to you and I hope you get many more followers. I love reading your posts and sharing your ideas. 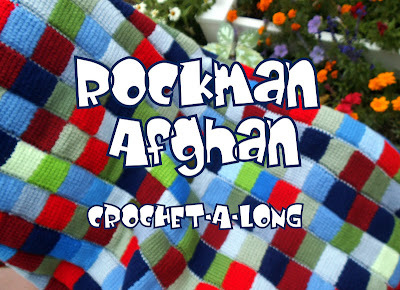 If I'm not too late the afghan pattern has really caught my eye. No problem - you were #9. One left. :-) Congratulations and thank you for following, Mum! Congratulations! I love the Granny Rose pattern. It is very beautiful!! Well that wraps up the give-away. Thank you to all that left a comment! Congratulations Astri. That is awesome. I'm bummed - my side bar where I read from didn't update you and I missed out. I'll have to wait until you get 2000 followers. Wow! 1,000 followers is amazing.